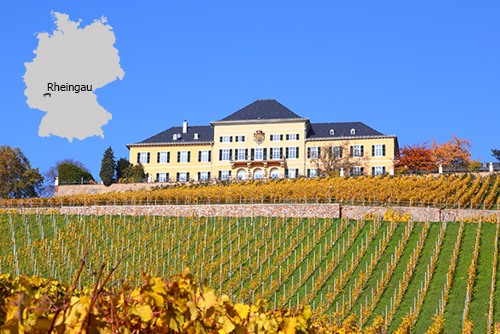 From Germany’s 13 wine regions, Rheingau is the smallest, yet one of the most important regions. A 20-minute drive from west of Frankfurt, it is located on the river Rhine. The classic Rheingau wine is a dry Riesling with pronounced acidity, aroma of citrus fruits and smoke-tinged minerality. 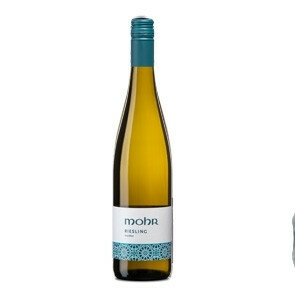 It is worth noting, however, that the region also produces some of Germany’s finest sweet, botrytized Rieslings, with flavours as exotic as apricot puree, honey and caramelised mandarin. The Rhine is of vital importance to the Rheingau vineyards; not only does it reflect sunlight onto the vineyards above, it also moderates the temperature, providing a few extra frost-free weeks at either end of the growing season. A majority – almost 80% – of vineyards here are planted with Riesling, followed by Pinot Noir in a distant second place with around 12%.